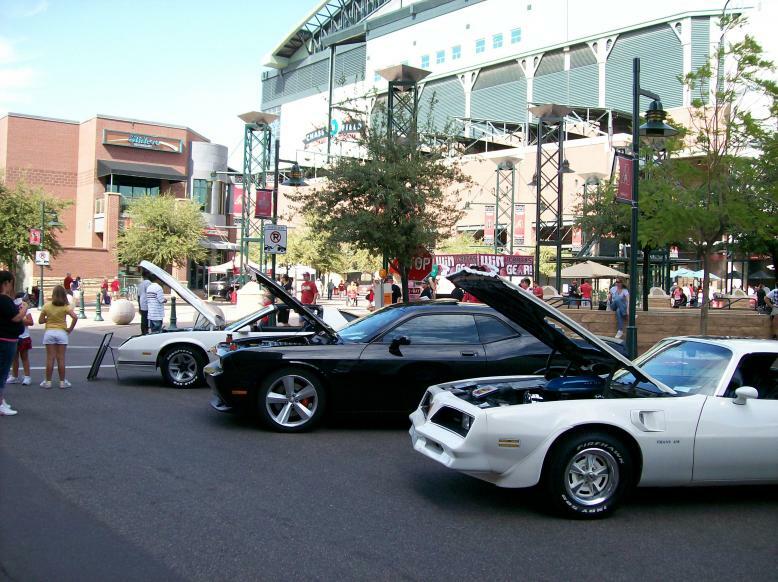 Saturday August 21st saw the Inaugural Diamondback's car show at Chase Field (Seats for Soldiers Car Show). The show was held in accordance with the D-Backs vs. the Rockies game and started at 1:00. Parking was right in front of the stadium on Fourth street. I think the cars may have brought luck to the D-Backs as they win the game. 1-3. While the show was smaller than it could have been, perhaps due to little promotion...the cars were all very nice with about 55 in attendance. Owners parked their cars on the street, then went inside to enjoy the show...the D-Backs had their people watching over the cars on display. 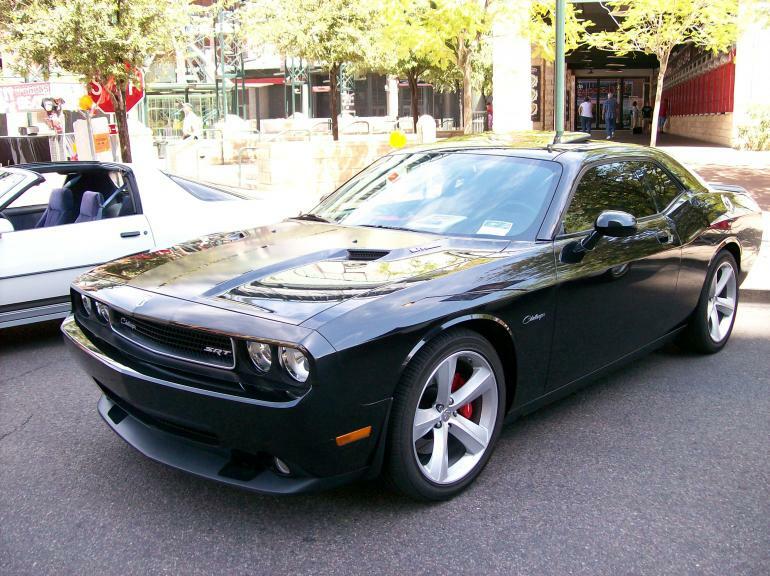 The show was heavy with GM products, with my 2008 SRT8 Challenger being the only Mopar on display. 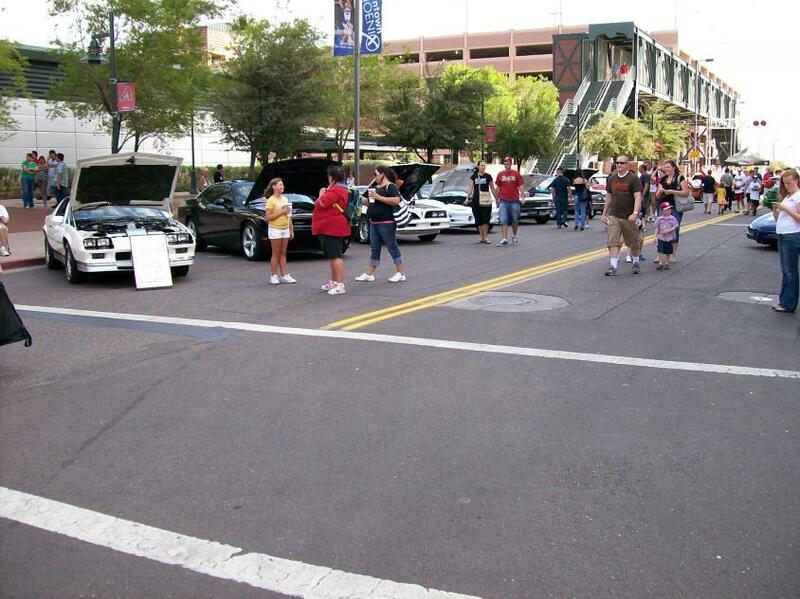 With each car that attended the D-Backs car show, they donated four game tickets in the owner's name to local soldiers to enjoy the game. A very good cause! Owners got to sit in a second level box seat. Keep the show in mind for next year, as it was well worth attending! My buddy got additional shots, but hasn't sent any to me yet. At the Arizona classic car auctions, muscle is still king but 'bling' is in, too.